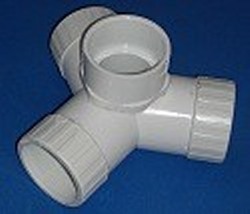 The four-way PVC fittings on this page will fit sch 40, Sch 80, Class 200, Class 315, co-extruded furniture pipe and any other IPS size PVC pipe, plumbing grade or furniture grade. 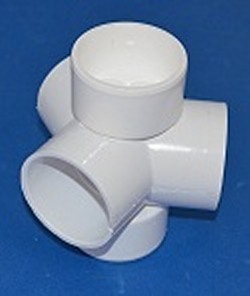 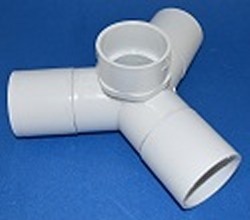 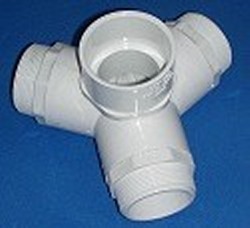 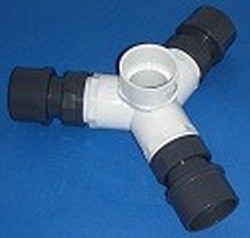 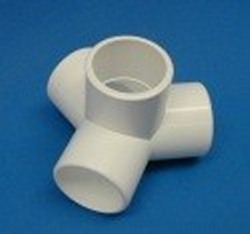 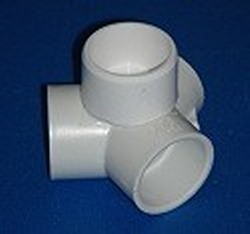 If you want to use the 1/2" and 3/4" PVC wye fittings on this page (which are all referred to as IPS or Sch 40 fittings) with CTS (the cream color CPvC pipe) you can use CPVC CTS to PVC IPS adapters. 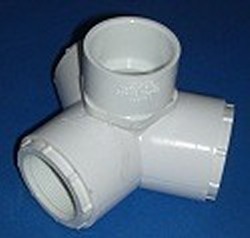 423-020FLO 2 inch 4 way Side Outlet Wyes FLOW BUT NOT RATED!